The only way for Willie Martinez not to continue to be Georgia's defensive coordinator in 2010 is for another school to hire him away from the Bulldogs. Namely, the Memphis Tigers. I think Willie would look good in blue myself, but I obviously don't have a vote in the matter. To all of my UGA counterparts who believe a change is needed at Georgia on the defensive side of the ball, we can all forget it. 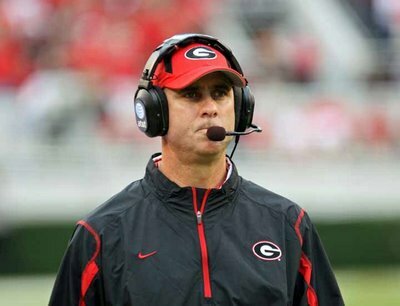 Head coach Mark Richt is not going to fire Willie Martinez. Not of his own volition, and probably not if pressure were to be put on him to make the termination. Richt would choose to go down with the ship rather than fire his old college roommate. For that matter, I would not be surprised if Martinez isn't given a little bump-up in his salary before next season. I'm serious. The defensive recovery Georgia made after giving up 14 easy points to Auburn last Saturday night solidified the jobs of the entire defensive staff for next year. All other transgressions have been forgiven. Only a colossal collapse against Kentucky this Saturday would reverse that. The soft zone that the Bulldogs play, which features defensive backs out of position very often, will continue "Between the Hedges". Yep, we're gonna play it again in 2010! Come on and pick up that phone Memphis. Make that call.